Hello Everyone! 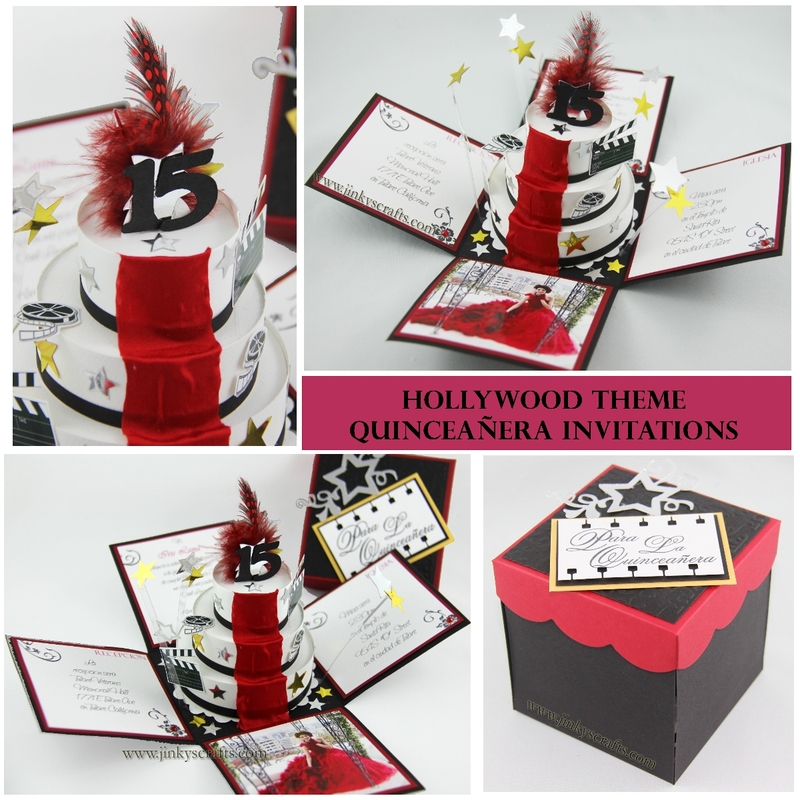 I have been very busy lately designing Quinceañera Invitation - Exploding Boxes for my clients. 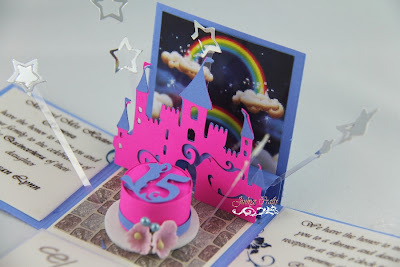 I am being challenged by the different Quinceañera party themes they are asking me to make. They have the Hollywood, Rainbow, Magic Kingdom, Under The Sea Theme, and more. 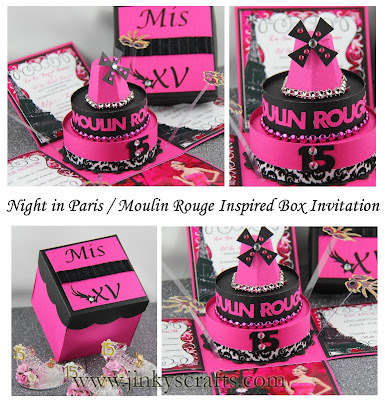 So here, I just want to share some of my new Exploding Box Invitation Collection . 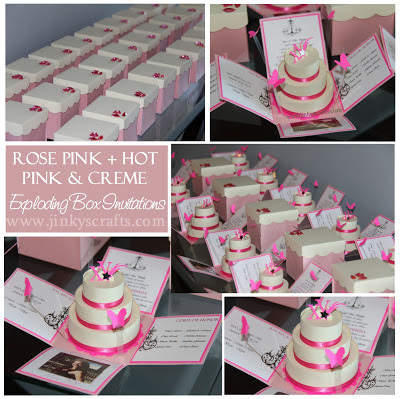 If you have purchased my Exploding Box & 3-Tier Cake PDF Tutorial already, the following photos might inspire you on your next Exploding Box project. If you want Make-It-Yourself, there are Kits available for these Unique and Modern Quinceanera Invitations. The size of this Exploding Box Invitation is 3.5 x 3.5 inches cube. 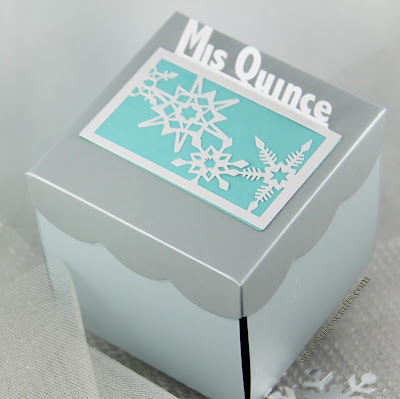 It can also be used as a Recordatorios or Gift Box Favor. These can also be used as Quinceañera Invites, Bat Mitzvah or as Bridal Shower Invitation. Please check out Gallery for more ideas, and contact us for any questions regarding a custom order. Thanks You! Finally I see creative take on the pop-ups, Your Imagination deserves Congratulation. 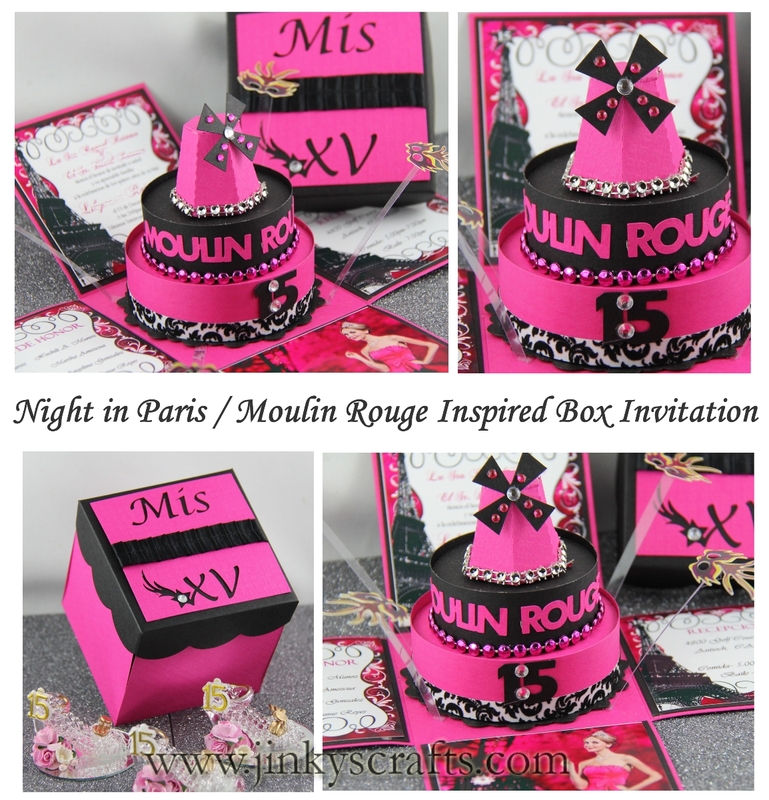 I love these pop-up invitations! pwede po bang mag pagawa ? 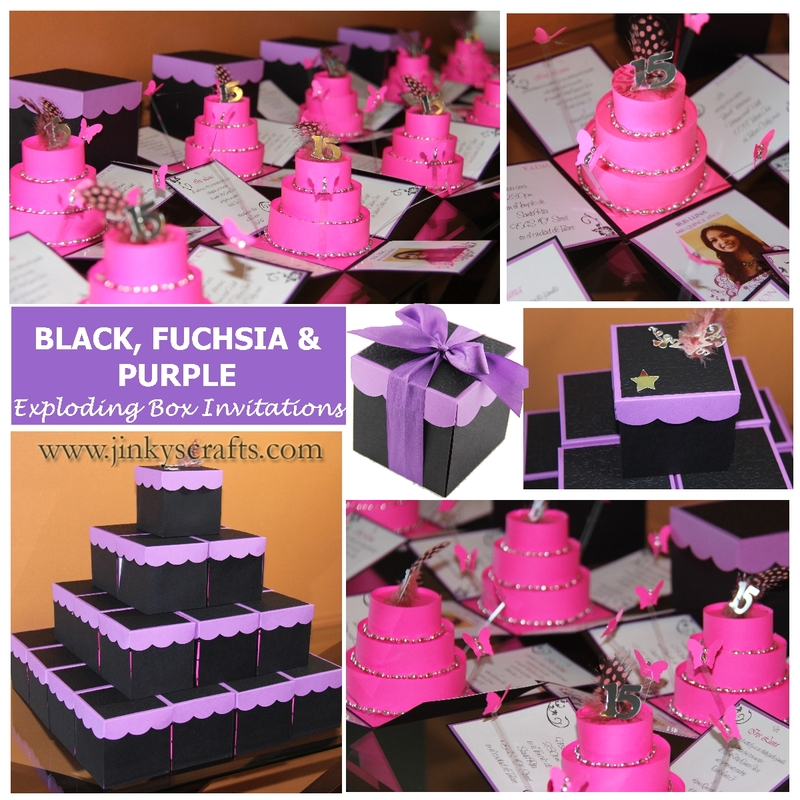 @ JOy Fuentes, Can you please email me @ jinky@jinkyscrafts.com for the price quote. Thanks! if i order 20 boxes how much would it be? 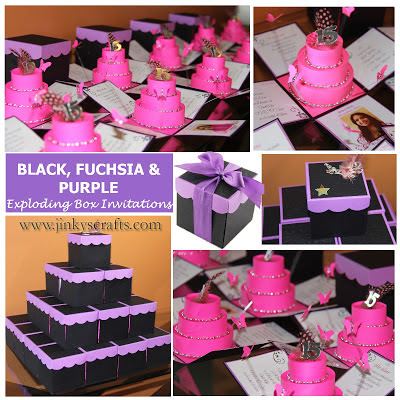 Hi i was wondering how much each little pop up invitations are? Or if there is like a discount for order over a certain number? 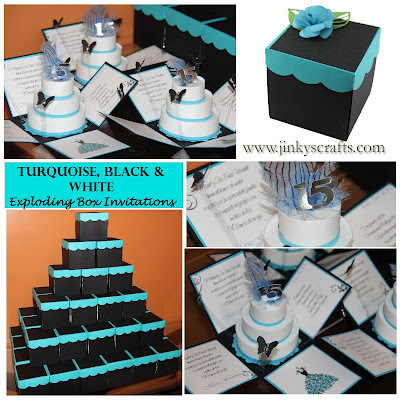 Hello JinkyK, my birthday is coming up, in November; I would like to know how much each "Exploding Box Invitation" is? 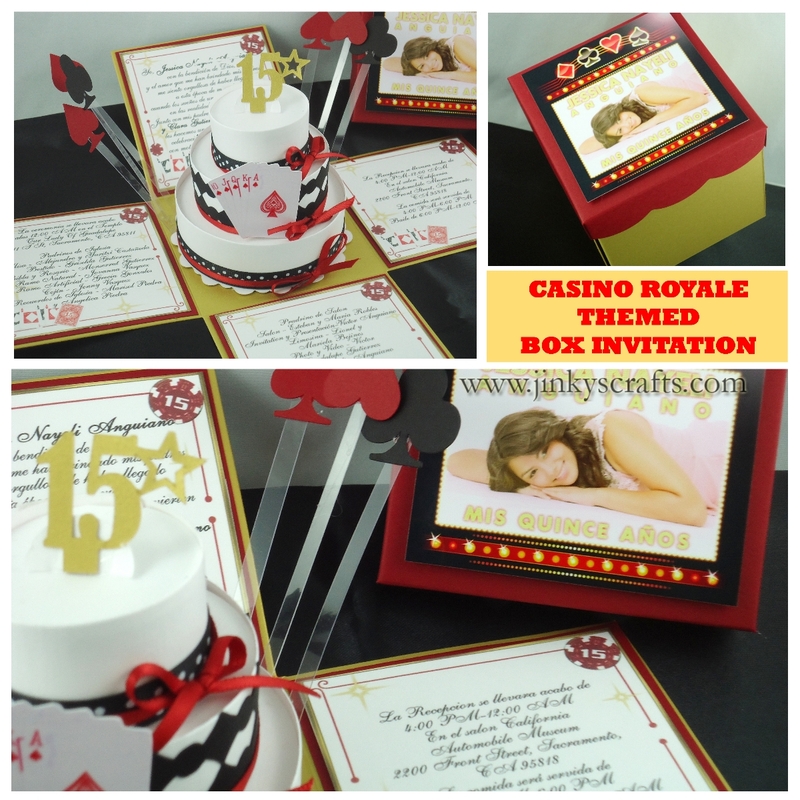 In addition to that, if there is any sort of discount if you order a certain amount of invitations. Thank you so very much! P.S. I think that all of your stuff is lovely! Great job!! I like the color combination of black and blue that's my favorite :). 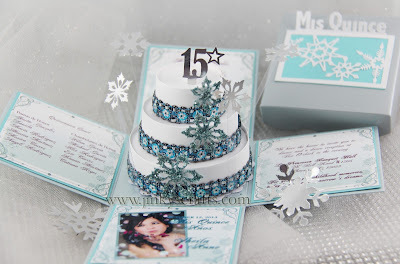 I will make these cards and boxes on upcoming Christmas. Can they be sent to Florida ? Where in the world do you make these ? Please send your inquiry directly to jinky@jinkyscrafts.com We shipped anywhere. How long does it take for shipment procces ?